NVIDIA dropped the bomb that was the GeForce GTX 1080 in May, and there was a general understanding that the brand new card would be the flagship for the medium term, at least outside of their enterprise-class products. Whilst we knew that the GP100 was a theoretical design coming to consumers, perhaps deep into 2017, the GTX 1080 looked set to be the benchmark for performance computing and gaming for a little while. 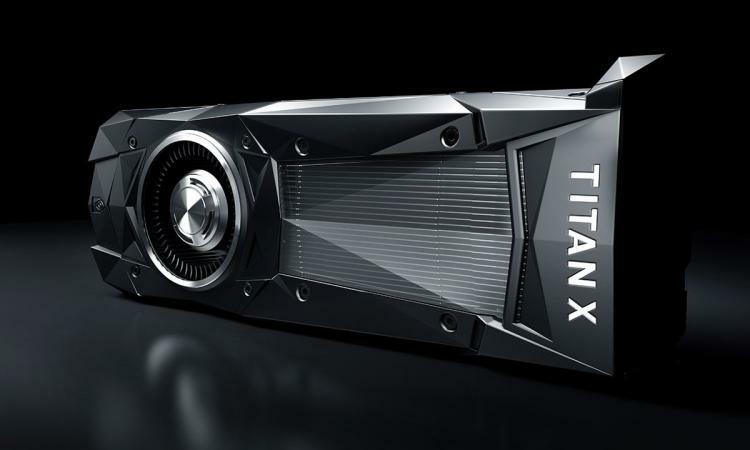 Well it turns out that NVIDIA had something special up their sleeve all along: the GP102 TITAN X. At Stanford University event focussing on artificial intelligence and the advantages of high-speed compute to the sphere, NVIDIA CEO Jen-Hsun Huang announced the big news: a new TITAN was on its way, and it was huge. A few lucky attendees also got their hands on the first of the cards which have rolled off the production line, no doubt aiding them in the continued development of their own progressively more enhanced AI. NVIDIA have since released a little more information on the specs of the card, its pricing, and where you'll be able to pick it up. 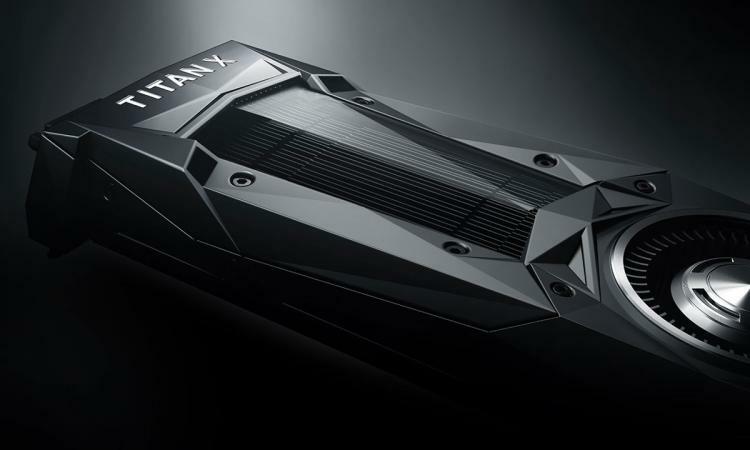 The new NVIDIA TITAN X (currently branded identically to the previous version) is based on the GP102, a GPU built on 16nm Pascal architecture and featuring 12 billion transistors. The card is capable of 11 TFLOPS of single-precision floating-point performance (FP32) compared with 6.1 TFLOPS on the Maxwell-based generation, so developers are getting almost double the throughput in appropriate workloads. Alongside the above TFLOPS figure NVIDIA are utilising a additional performance rating of 44 TOPS INT8 (int8 referring to 8-bit integer), which is apparently more appropriate for deep learning inference instructions. It's likely that Pascal can apportion int8 workloads more efficiently than Maxwell, hence highlighting this derived figure. Compared with the GTX 1080 the new TITAN X is a brute of a card. The GP102 features 3586 CUDA cores, a new record for NVIDIA's architecture, up from 3072 on the Maxwell TITAN X and 2560 on the GTX 1080. It's clocked at up to 1.53GHz across those cores, reflecting the higher frequencies achievable on Pascal at 16nm, and is bolstered by 12GB of high-speed GDDR5X with a total available memory bandwidth of 480GB/s. TITAN X will also support overclocking - whilst this card could almost be seen as a supercomputer in your desktop, NVIDIA are realistic in recognising that many consumer will be picking it up for absurd gaming and VR potential. In reference configuration the card is rated at a TDP of 250W, and will likely require at least one 6-pin and one 8-pin PCI-E power connector. The reference cooling solution is outwardly similar to that of the GTX 1080 Founder's Edition, but is likely to be more elaborate due to higher heat generation from on-board components. Interestingly it appears that HBM2 memory will remain exclusive to enterprise-class GP100 solutions, likely due to package cost. The new TITAN X is due August 2nd and will be priced at $1200 MSRP in the US. Each card will be available direct from nvidia.com rather than retailers, at least at launch. More information on the new TITAN X should be released in the very near future, so keep your eyes peeled if you have extreme requirements or work in the burgeoning Deep Learning IT sector.